Wedding Chicks Member: B Wedding Invitations Serving: Ships Anywhere See more: Portfolio Get Social: Facebook | Twitter | Pinterest | Instagram A few words from B Wedding Invitations:Set your wedding invitations apart with the charm and exquisite detail of B Wedding Invitations. Enjoy the added convenience of preassembled inserts and silk ribbons, personalized with your information to perfection. 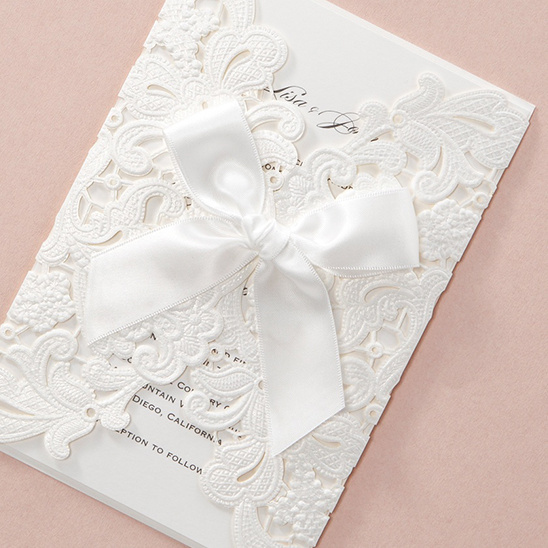 With our wide variety of style and sophistication, let B Wedding Invitations help make your Wedding Day memorable. During the month of April, customers can enjoy 20% off + Free ground shipping on orders over $200 with promo code: 20APR. Offer ends 4/30.